If your kids are like mine they get all sorts of excited at the first sight of dart guns. For some reason no matter how many they already have when they see a new one "It's the coolest thing ever". So as you can imagine when I opened my package from Buzz Bee Toys they were overly ecstatic to see not one, not two, not three, but four new dart guns to get excited over. I thought my daughter was going to fall over when I pulled out the Sidewinder. Her mouth dropped open in awe at the size of it and the fact that it could hold 30 darts all at once for rapid fire action. Needless to say there have been some pretty wild dart wars going on in my house. Even if the weather outside keeps them from enjoying them outdoors at least the darts are soft so I don't have to worry too much about them playing with them inside. I only let them each pick one though because we are going to donate the other two for Christmas gifts to families in need. It's that time of year when we try to spread the joy of the season, and I'm sure the recipients will be just as excited as my kids to receive these awesome toys. 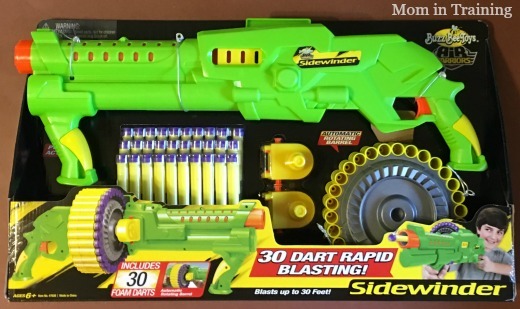 • Rapid, automatic rotating barrel dart blaster. 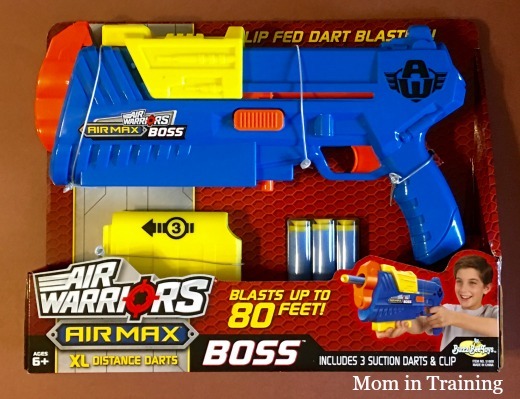 • Load, aim and pump to blast 30 darts up to 30 feet away! 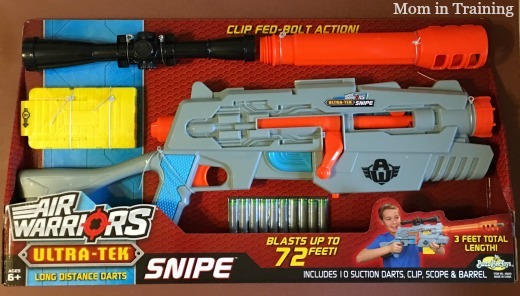 • Comes with removable dart barrel. Buy it: You can purchase these and other Buzz Bee Toys at Walmart, Kmart, or Target (stock varies by store).